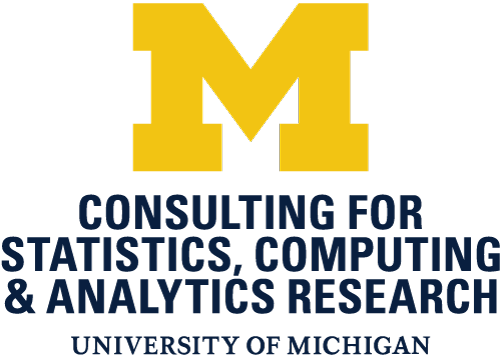 The University of Michigan has been recognized as one of the first Chapters in the new Women in High Performance Computing (WHPC) Pilot Program. “At WHPC we are delighted to be accepting the University of Michigan as a Chapter under the pilot program, and working with them to build a sustainable solution to diversifying the international HPC landscape” said Dr. Toni Collis, Chair and co-founder of WHPC, and Chief Business Development Officer at Appentra Solutions. The process of selecting organizations to participate in the program accounted for potential conflicts of interest; Geva did not vote on U-M’s application. Women in High Performance Computing (WHPC) was created with the vision to encourage women to participate in the HPC community by providing fellowship, education, and support to women and the organizations that employ them. Through collaboration and networking, WHPC strives to bring together women in HPC and technical computing while encouraging women to engage in outreach activities and improve the visibility of inspirational role models. WHPC has launched a pilot program for groups to become Affiliates or Chapters. The program will share the knowledge and expertise of WHPC as well as help to tailor activities and develop diversity and inclusion goals suitable to the needs of local HPC communities. During the pilot, WHPC will work with the Chapters and Affiliates to support and promote the work of women in their organizations, develop crucial role models, and assist employers in the recruitment and retention of a diverse and inclusive HPC workforce. WHPC is stewarded by EPCC at the University of Edinburgh. For more information visit http://www.womeninhpc.org. For more information on the U-M chapter, contact Dr. Geva at sgeva@umich.edu.